A profile, a size and a color for any vehicle! Trim-Gard has the largest selection of profiles of any manufacturer in the industry. Some of Trim-Gards profiles are available with molded formed tips or die-cut tips to give you the finished OEM look. Trim-Gard has a myriad of sizes to fit most any body line. From small 1/4” bumper inserts to 7” rocker panel moldings Trim-Gard has the right size molding for any application. When size does make a difference Trim-Gard has the solution. Trim-Gard’s color-keyed moldings are the answer to getting dealerships back into moldings. Dealerships and consumers across the country are looking for protection products that won’t change the look of the vehicle and color-keyed moldings are the answer to that problem. L-shaped door edge guards, fender trim moldings and body side moldings are available in over 40 colors in a high gloss finish to match almost any paint color. Made to endure and stay attached! All Trim-Gard moldings are made with raw virgin plastic materials and do not contain any reground plastics like other brands of moldings. 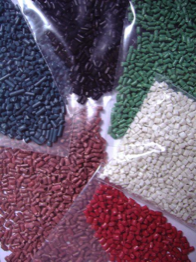 Once plastic has been heated and formed, the molecular structure of the plastic changes. Reground plastic that is melted and re-formed loses it’s structural integrity and reduces the durability of the molding. 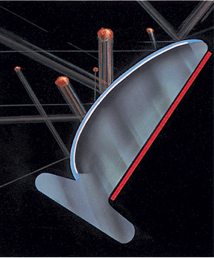 Trim-Gard was the first molding company to top coat all their chrome products. The top coat is a clear protective cover that encapsulates the chrome mylar protecting it from the harsh elements and keeps the chrome looking new and shiny. No flakes, chips, or de-lams here! 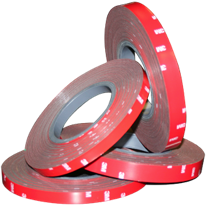 All Trim-Gard moldings feature 3M Redliner tape. This is the same high-quality, 2-sided acrylic foam tape used by the OEM manufacturers. You can be confident that when you install it correctly it will stick forever! Made with Quality, Backed by us! All Trim-Gard moldings are backed with the Restylers’ Choice 36-month warranty. All chrome moldings with the clear top-coat must have all ends sealed with Trim-Gard's end sealer to maximize weather-ability and validate warranty.